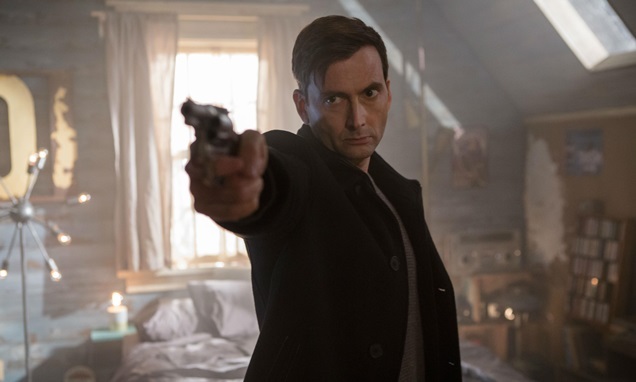 David Tennant does not look happy in the first still from his new film, Bad Samaritan. Directed by Dean Devlin, the thriller follows two young car valets who use their business as a front to break into the homes of their unsuspecting customers. But when they choose the wrong house, their lives are changed forever. No word yet on when we’ll get to see it.